Glyder Fawr and Glyder Fach sound like slightly sinister characters from the Hansel and Gretel fairy tale. 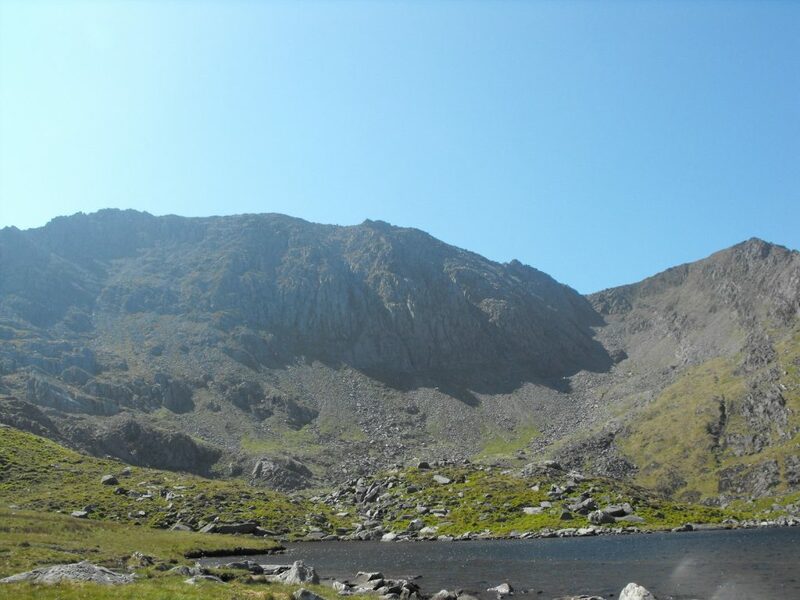 They are names of the two highest mountains in Snowdonia’s Glyder (pronounced gli – dur), or Glyderau range in North Wales. 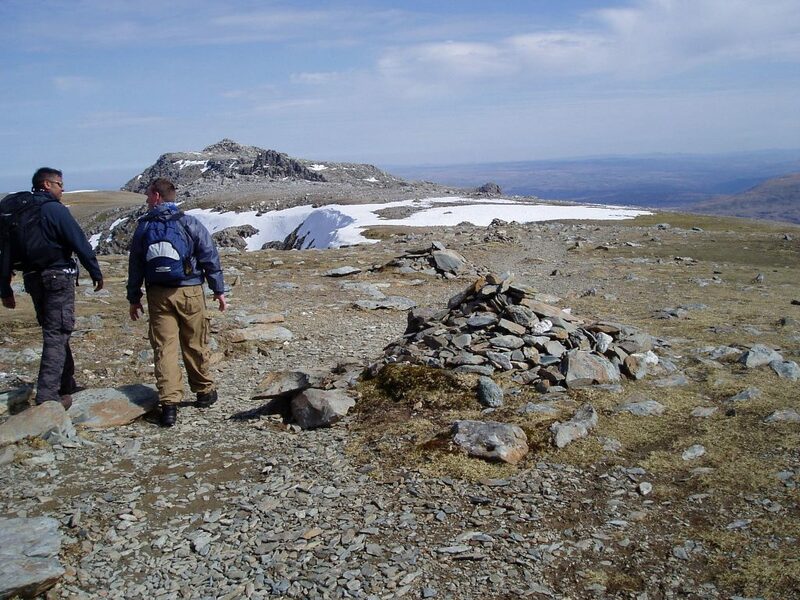 Glyderau means ‘pile of stones’ in Welsh. On this walk you’ll realise it’s an apt name, as you’ll have to pick your way past and through huge boulders. 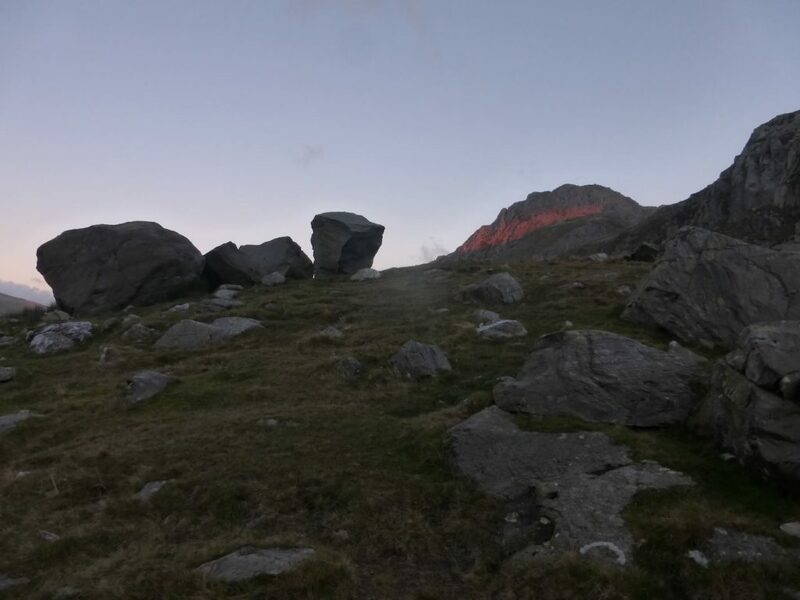 You can follow a fabulous circular walk taking you to the peaks of both mountains, after seeing the famous Devil’s Kitchen and Cantilever Stone. It’s only about five miles, but will take around five hours. The terrain is not always that easy. In places you’ll need to pick your way forward by scrambling. Even so, by planning well and taking reasonable precautions the walk should be easily within most people’s comfort zone. 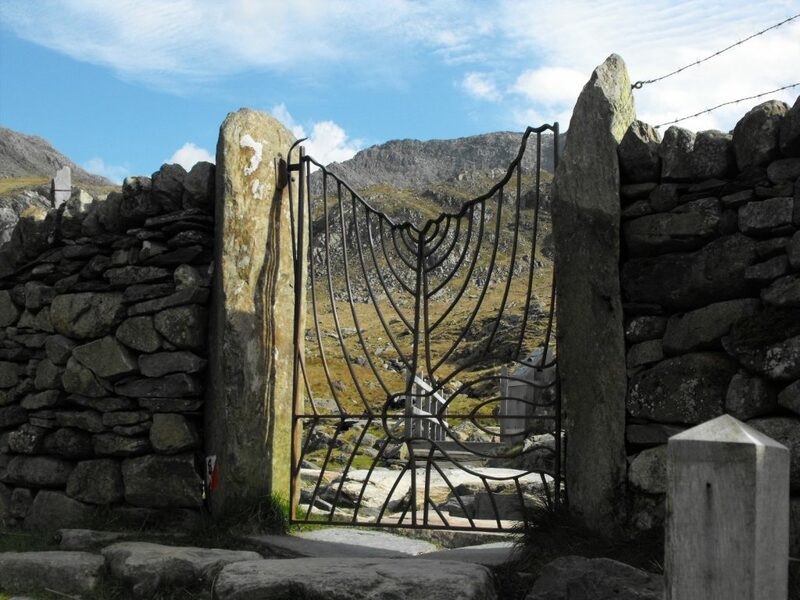 The starting point is the Ogwen Cottage Café on the A5 near Llyn (lake) Ogwen. You can park up here and get a few supplies (and a hot drink) from this well stocked outfit before you set off. 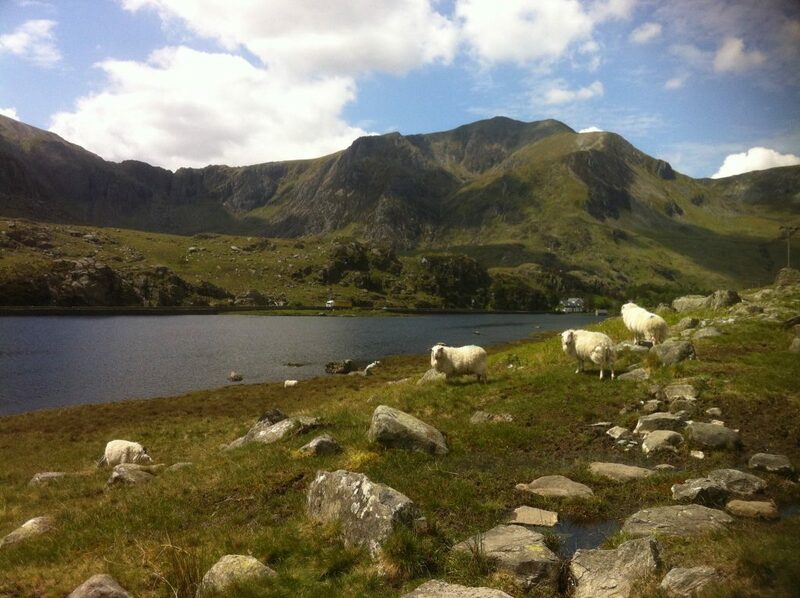 Once you are ready, take the path to the left of the café and follow the route to a mountain lake called Llyn Idwal. On approaching the lake look to the left and you will see five large boulders these are known as Darwin’s boulders, named after the famous scientist who visited on numerous excursions. Follow around the lake in either direction. The paths finally join as you ascend the back wall of the cwm, (cwm means head of a mountain valley, that’s been created and scooped out by glaciation in the past). Look left and you see the Idwal Slabs, a steep rock face often dotted by climbers plying their leisure pursuits. As the back wall steepens a deep cleft in the wall appears known by the aptly atmospheric name of the Devil’s Kitchen. This deep fissure appears dark and menacing, a ‘cauldron to inspire murderous thoughts’ according to one poet. The mountain mists swirl around representing the Devil cooking on top of the mountain. Don’t pass through the Kitchen. Instead take the path to the left. Take care as your route can be a little wet and slippery. Soon you will reach a small lake called Llyn y Cwn (lake of the dogs). 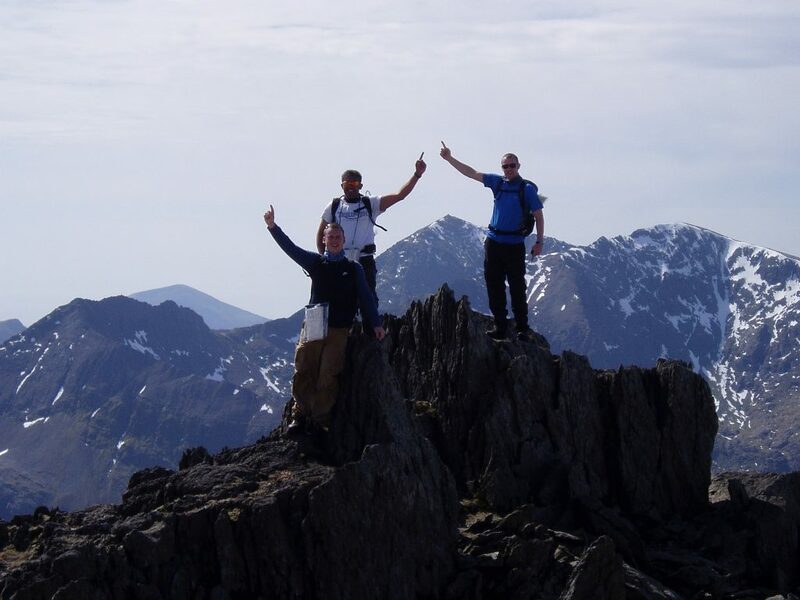 The summit of Y Garn (947 metres) can now be seen to your right. 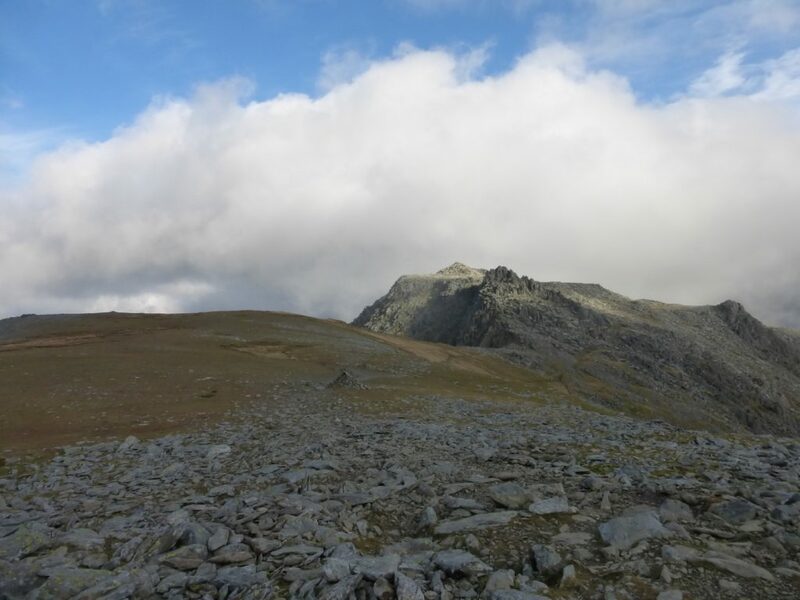 Scramble up the scree slope to the left, which will take you to the summit of Glyder Fawr. 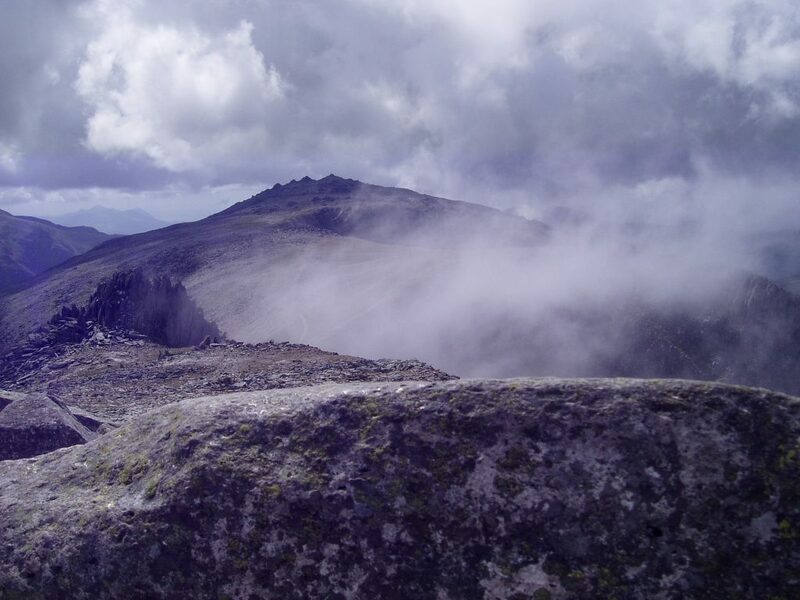 At 1001 metres this is the highest point in the Glyderau Range. 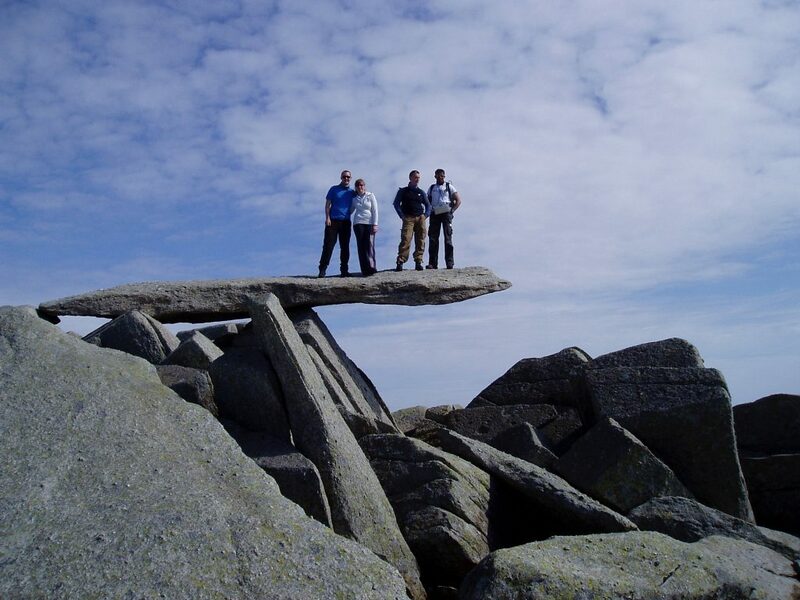 Now you are on top of the Glyderau plateux, a broad top that allows straight forward hiking in good visibility. Don’t be too casual in your navigation if the cloud is down as you are walking above some steep cliffs to the left, namely the Cwm Cneifion (the nameless cwm). The direction is east and the path dips as it traverses the Castell y gwynt (Castle of the Wind) where the winds are often whipped up over the bwlch (pass/col). These impressive rock monoliths stand tall and form an impressive natural fortress. The path now continues to Glyder Fach (994 metres) and the famous Cantilever Stone just beyond it. This balancing rock appears unstable but it is perfectly fine to walk along its length. 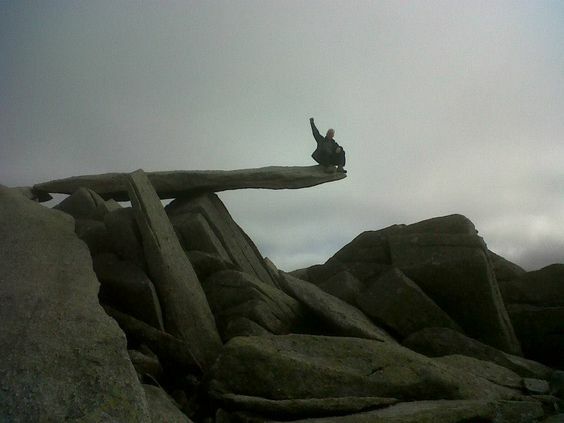 After your obligatory Cantilever photo or selfie, you can head east off the summit plateau of Glyder Fach takes you down towards Llyn Caseg-Fraith where you will pick up the Miner’s path. 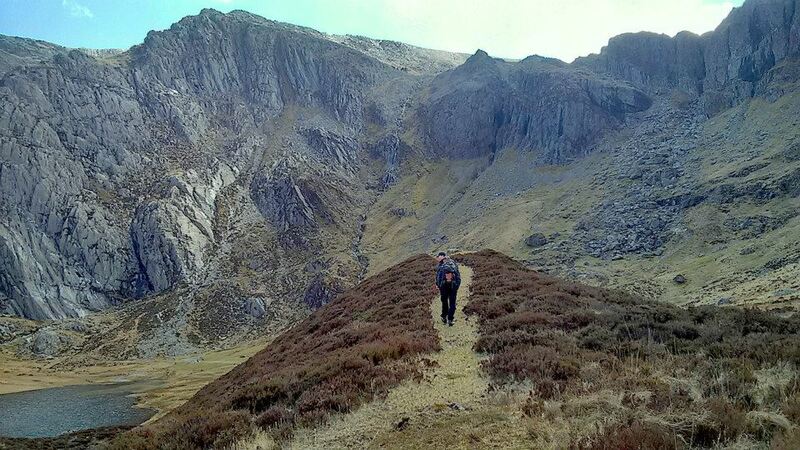 Descend into Cwm Tryfan and contour around to Bwlch Tryfan. For those wishing for a shorter descent route to Bwlch Tryfan may descend via the Bristly screes. This loose and steep scree gully just east of the prominent Bristly Ridge needs care as you progress down. Be careful as rocks can get kicked down, gathering speed on their way… you wouldn’t want to be in their way or likewise to kick one down with people walking below you. From Bwlch Tryfan the path descends towards Llyn Bochlwyd (sometimes called Lake Australia – take a look at its shape on a map and you’ll see why) on your left. Once at the north of this lake a river forms and descends into a waterfall. Follow the path keeping the river on your right. As you descend you will see familiar scenery, which you walked through earlier in the day, leading you back to the Ogwen Cottage Café. 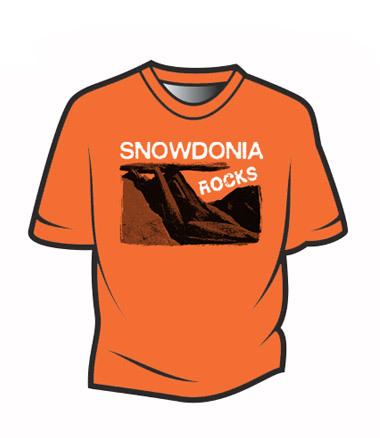 Climb it Range produce a “Snowdonia Rocks” T shirt, hoodie, sweatshirt and long sleeved T shirt featuring the iconic Cantilever stone. Click here to view the full range.